In keeping with their extremely consistent content releases, GW2 one-ups their own undead dragon Lieutenant, Tequatl the Sunless. But beware, this new encounter is designed to be a challenge for “an army” of players! 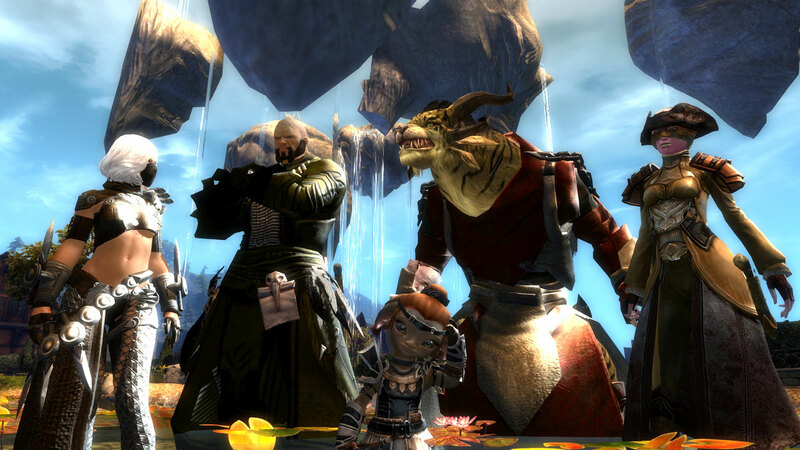 ArenaNet also tinkered with every boss in the game, retuning every encounter to be more rewarding. Also, finally, a LFG tool is on its way, WvW has new shineys, and there are brand new wings you, too, can collect during this event. It has been gathering power in the depths. It is faster, stronger, deadlier. It has returned to devour and destroy. It is called Tequatl the Sunless… and it has evolved. THE DRAGON TEQUATL – REDEFINED! Something’s gotten into Tequatl the Sunless. This ancient dragon, scourge of the Splintered Coast, has become more formidable than ever, with an arsenal of new attacks and lethal tricks at its disposal. To stop this rampaging beast, you’ll join forces with old friends and new allies in a desperate battle where failure is a very real option. Tequatl has risen – and it will take an army of players to bring it down! Dive deeper into the Tequatl Rising release with ArenaNet devs during the livestream on our Twitch channel on Friday, September 20 at 12PM PDT. We’ve added a new system to help players find others to join in on their adventures. Using our new looking for group system, you’ll be able to select the type of content you’d like to do and add in a custom description about the group you’re trying to form. Use the system alone or with friends to easily fill out your party! Read more on the forums. Big changes are coming to the eternal war in The Mists! Each borderland map in WvW has been redesigned to include five new Ruins of Power—capture points that armies can battle over in order to earn lethal Bloodlust boosts for everyone on their server! We’ve adjusted all of our bosses to make them more challenging and fun! From the Megadestroyer to Golem Mark II to the Fire Elemental, bosses in Tyria are more dangerous than ever! Prepare to knock some gates down and set stuff on fire! Become tougher and more effective in those heated siege situations by earning ranks in the new Flame Ram Mastery ability! Earn this ominous new animated back item by waging war against Tequatl the Sunless!